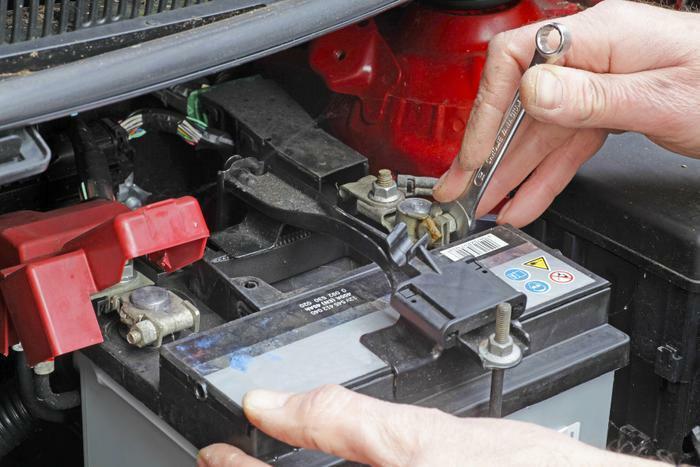 When you think of a dead car battery, you probably think about it being the dead of winter. You try to start your car one frigid morning and nothing happens. It's true that battery failures can occur in cold weather but that's not usually what has caused the problem. The drain on the battery's resources most likely occurred during the summer's hot weather. According to the Car Care Council, a group representing automotive repair shops, your battery is more likely to fail in summer than in winter. "Summer heat is the real culprit," said Rich White, executive director, Car Care Council. "Many battery problems start long before the temperatures drop. Heat, more than cold, shortens battery life." No battery lasts forever. When you buy one, the label usually tells you how long you can expect it to last. Five to 7 years is not unusual as long as the battery is operated under normal conditions. Extremely hot weather and overcharging are the two main reasons for shortened battery life, according to the Car Council. The battery contains liquid and heat causes it to evaporate. Low fluid levels will damage the internal structure of the battery. Your car's voltage regulator can be another source of trouble. If if malfunctions, allowing too high a charging rate, your battery suffers a slow death. There may not be any warning signs until one morning, when you are already late for an appointment, your car won't start. One reason dead batteries are often associated with cold weather is colder temperatures increase the thickness of the engine oil, making the engine harder to turn over. That means the battery has to work harder. Your driving habits can also contribute to shorter battery life. Frequent engine on/off cycles will cause more wear on the starter than a simple back and forth to work. Other factors include driving and weather conditions, mileage, vehicle age and excessive electrical draws like in-vehicle entertainment systems. A tell-tale sign your battery could be on its last legs is when you notice headlights and interior lights dim, accessories fail to operate, or the "check engine" and/or battery light comes on. You can get more life out of your battery by making sure it is charging at the correct rate. When you take your car in for service, ask the mechanic to check the electrical system. Keep the top of the battery clean. Dirt and engine grease can build up and, when they do, they serve as a conductor, which drains battery power. Look for corrosion accumulating on battery terminals. The corrosion, often blue in color, serves as an insulator, reducing current flow. When it is time to replace your battery, select one that's rated at least as high as the original. Replacing a battery is a simple do-it-yourself job, assuming you don't mind getting your hands dirty and you can lift – for find someone to help you lift – the heavy battery. Pep Boys, an auto parts retailer, offers these step-by-step instructions for doing the job.